I’ve worn it twice so far and it seems to be a quality product. I’ve had many compliments on it, and not just from students. Many of my colleagues had nice things to say as well. Fantastic gift. Thanks, Ms. W.! This entry was posted in Opinions/Editorials and tagged Batman, batman tie clip, interesting tie clips, kevin coss, mens fashion, tie, tie clip. 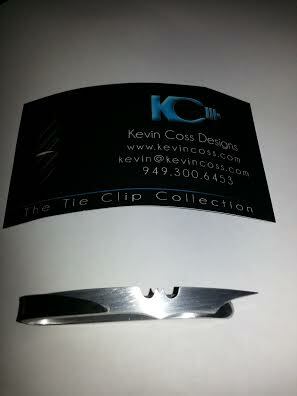 I’m was very happy to see this, I’m glad you like the tie clip! Absolutely, Kevin! You do great work! Can’t wait to get mine! Glad to hear about the quality. One can never tell on the Internet.